Yes, I made an emoji in the headline because a brown Cadillac guarantees it. Cadillac will build 300 special Pedestal Edition models of the 2019 ATS-V and CTS-V as the affluent successor to the third generation of its V-Series. The color is not called brown, it's called "Bronze Sand Metallic", but it sure looks brown to me. In addition to the special paint, the coupe and the saloon get black chrome accents, forged wheels, red calipers and two-tone interiors. No performance improvements were listed, so this only looks like a release version. Cadillac says the Pedestal Edition is set to celebrate the 15-year Cadillac V-Series Sub-brand, which started in 2004 with the very first CTS-V sedan. Well, that's the car Cadillac put on the performance radar and gave the Germans something to worry about. Only 300 of the special editions are built and sold in the US, Canada and the Middle East. The order starts in the first week of November. 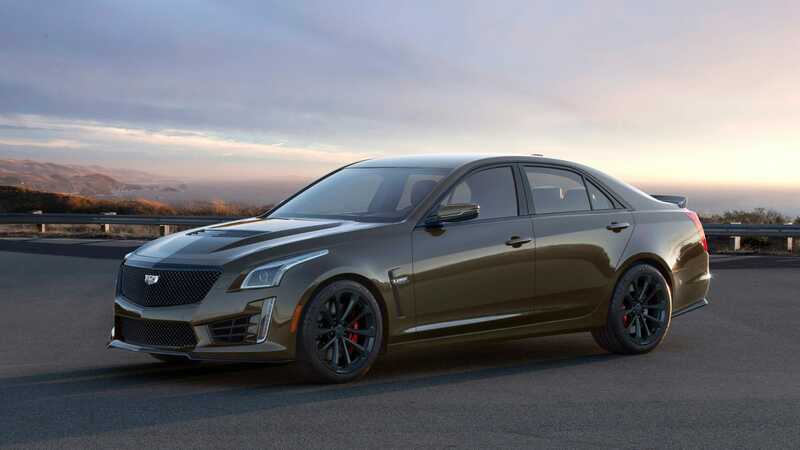 Prices for the 2019 ATS-V Coupe Pedestal Edition start at $ 77,090 and start at $ 102,590 for the CTS-V Pedestal Edition 2019, which is approximately $ 10,000- $ 15,000 more expensive than they normally are. Cadillac will not kill the ATS-V or CTS-V for the next generation of V, but it will expand the lineup. We can expect the CT6-V, which will have Cadillac's brand new engine. More vs are a good thing, especially if they are brown.